The Work Holiday Programme allows eligible students and young graduates from overseas to work and holiday in Singapore for a short period of 6 months. It is exclusively meant for Eligible foreign students or graduates who wish to work and have a holiday in Singapore. Through this, the well-qualified young people traveling abroad gain enough exposure and acquire rich experience of a foreign culture. A positive experience encourages them to work here when they complete their graduation. 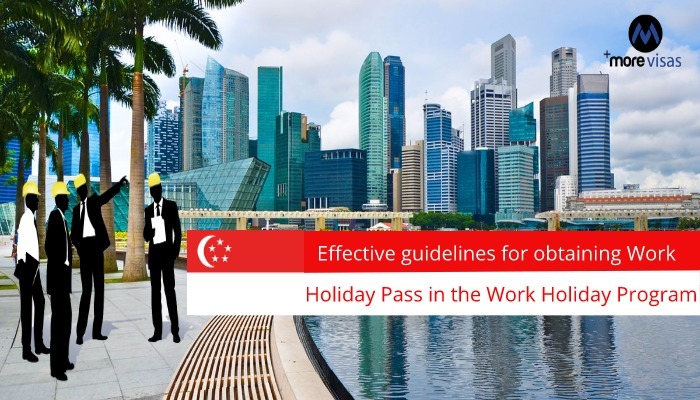 It has the capacity to enhance the reputation of Singapore making it a valued destination.The Work Holiday Programme allows eligible students and young graduates from overseas to work and holiday in Singapore for a short period of 6 months. It is exclusively meant for Eligible foreign students or graduates who wish to work and have a holiday in Singapore. Through this, the well-qualified young people traveling abroad gain enough exposure and acquire rich experience of a foreign culture. A positive experience encourages them to work here when they complete their graduation. It has the capacity to enhance the reputation of Singapore making it a valued destination. It covers the duration of 6 months and is not renewable. No Passes are available for the family. There is no foreign worker levy. It has a Quota of 2,000 places at a time. The legislation governing it is the terms and Conditions of the Work Pass issued and the Employment of Foreign Manpower Act. The University must be recognized by the governments where it is located. This Program permits you to get a Work Holiday Pass and also stay and work in Singapore for 6 months. There are no restrictions to do any specific work. There is also no minimum salary requirement. Professions such as Dentistry, Medicine, Architecture, Pharmacy, and Law cannot be done in it. One can apply by submitting the requisite set of documents through the online application portal. It takes 3 weeks to process the application. The applicant has to declare that he/she has sufficient funds for covering the expenses related to stay, maintain him/her and move out of the country. There is a soft copy application form in MS Word which can be downloaded from the Ministry of Manpower website. The completed form has to be sent as an e-mail attachment to the Ministry. One needs to attach a letter from University or College as a proof of being a student. It must have the particulars of name, gender nationality, and date of birth. The applicant must also attach a copy of passport particulars page revealing the name, gender, date of birth, and photograph. The documents must be in image files in JPEG format with a clear image. Once it is submitted by the Candidate In-principle approval letter/ rejection letter is given. A Notification letter is issued.